1442 Birth: Edward IV, King of England, 1461-70, 1471-83. 1503 Battle of Cerignola: French forces are defeated by the Spanish under Gonsalvo de Cordoba at Cerignola, near Naples. 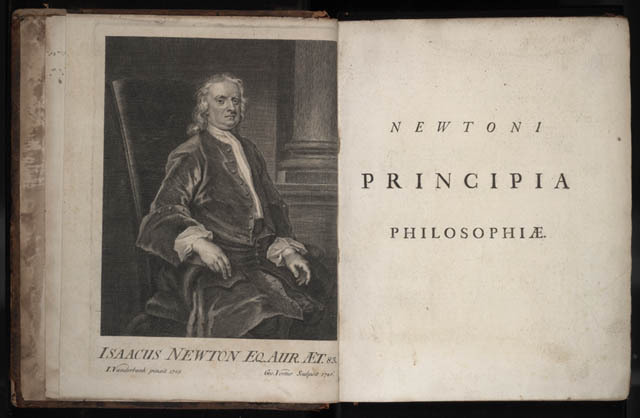 1686 The first volume of Isaac Newton's Principia is published. 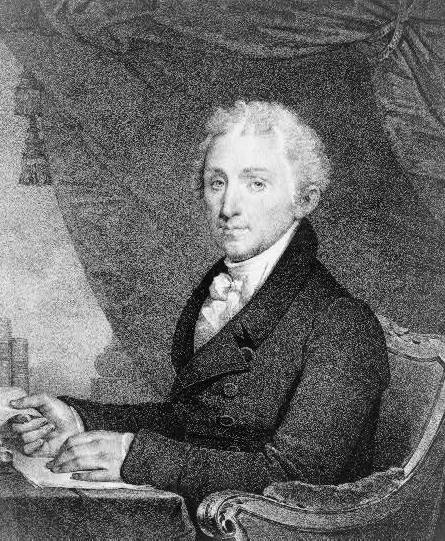 1758 Birth: James Monroe, 5th president of the United States, in Westmoreland County, Virginia. "He was one of five children of Spence Monroe and Elizabeth Jones who were both natives of Virginia. The Monroeâ€™s lived on a small farm and young James walked several miles each day to attend the school of Parson Campbell, who taught him the stern moral code that he followed throughout his life. When he was 16, Monroe entered the College of William and Mary. During his first year there, his father died and the cost of his education and his guardianship was taken over by his uncle, Judge Joseph Jones, who became his trusted advisor. The year was 1774 and the colonies were moving ever closer to war with Great Britain. Young Monroe was finding it difficult to concentrate on his studies and in 1775, he left college to go to war. He became a lieutenant and during the Battle of Trenton, his captain was wounded and the command was given to him. However, he too was wounded at that battle and while recovering he was named aide-de-camp to Major General Lord Stirling. He fought with George Washington at Valley Forge and in 1779, and now a major, Monroe was commissioned to lead a militia of Virginia regiment as a lieutenant colonel. However, his unit was never formed and his military career was at its end. He became an aide to Thomas Jefferson, who was the Governor of Virginia at this time. He also became Jeffersonâ€™s student in the study of law and with Jeffersonâ€™s guidance, he began to see what course his life would take..."
1788 Maryland becomes the seventh state to ratify the US Constitution. 1789 The Bounty: A rebel crew takes over the British ship HMS Bounty, leaving the ship's leader, Lieutenant William Bligh, and his supporters adrift in the Friendly Islands, South Pacific Ocean. The mutineers are en route from Tahiti to Jamaica, led by a man already regretting his actions: Masters Mate Fletcher Christian. 1870 Lenin is baptized at the Orthodox church of St. Nicholas. 1896 The Addressograph is patented by J.S. Duncan of Sioux City, Indiana. 1901 Birth: Heinrich Mueller, SS Lieutenant-General and Senior Chief of the Gestapo (1939-45) said by many historians to have been directly responsible for carrying out the "Final Solution." Mueller will begin his career in the Bavarian state police, specializing in the surveillance of Communists and making a special study of Soviet police methods. In 1935, even though not a party member, Mueller will be selected by Reinhard Heydrich to become second in command of the Gestapo. Even though highly regarded by both Heydrich and Himmler, he will not join the party until 1939, and will be suspected of being an opportunist by many longtime party members. After 1941, Mueller will be more directly involved in signing the orders sending Jews to the East than any of his superiors, including Himmler and Kaltenbrunner. He will last be seen in Hitler's bunker on this day in 1945 and will disappear shortly thereafter. His whereabouts and fate after the war remain unknown, though there is much speculation that he had defected to the Soviet Union. 1926 Birth: Harper Lee, author, novelist; To Kill a Mockingbird. 1930 Birth: James Baker, former US Secretary of State. 1933 Holocaust: FDR's Secretary of State, Cordell Hull, assures representatives of American Jewish organizations that the US State Department will continue to monitor the Jewish situation in Germany. 1936 King Farouk is crowned in Egypt. 1937 Birth: Saddam Hussein, deposed Iraqi president and dictator. "...The Iraqi president was born in a village just outside Takrit...In his teenage years, he immersed himself in the anti-British and anti-Western atmosphere of the day. At college in Baghdad he joined the Baath party. After the overthrow of the monarchy in 1958, Saddam connived in a plot to kill the prime minister, Abdel-Karim Qassem. But the conspiracy was discovered, and Saddam fled the country. In 1963, with the Baath party in control in Baghdad, Saddam Hussein returned home and began jostling for a position of influence. During this period he married his cousin Sajida. They later had two sons and three daughters. But within months, the Baath party had been overthrown and he was jailed, remaining there until the party returned to power in a coup in July 1968. 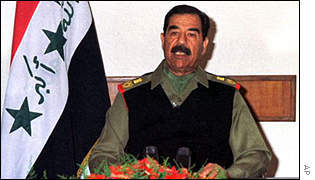 Showing ruthless determination that was to become a hallmark of his leadership, Saddam Hussein gained a position on the ruling Revolutionary Command Council. For years he was the power behind the ailing figure of the president, Ahmed Hassan Bakr. In 1979, he achieved his ambition of becoming head of state. The new president started as he intended to go on - putting to death dozens of his rivals..."
1937 The first commercial flight across the Pacific is made by Pan Am. 1939 Powell Crosley produces America's first miniature or 'bantam' car. Crosley has led a remarkably scattered life which included, in his own words, fifty jobs in fifty years. A born entrepreneur blessed with family money, Crosley engaged in everything from selling novelties to owning the Cincinnati Reds. His greatest love is automobile making, however, and he considers the production of the Crosley Miniature his greatest achievement. Mass production of the car was stalled until after WW2, but in 1948 he will produce twenty-eight thousand cars. The Crosley is a foot shorter and one hundred pounds lighter than the prewar Volkswagen Bug, and far smaller than anything offered by American manufacturers. Unfortunately, Crosley will never be able to lower the price of his cars to his intended sticker of $500. His $800 price tag won't be low enough to persuade consumers to purchase a miniature car when they can buy a full-size car for a few hundred dollars more. The Crosley Car Company will fail badly and even the injection of Powell Crosley's personal money will not be able to save it. 1939 In a worldwide radio broadcast from the Reichstag, Hitler rejects Roosevelt's appeal for peace and denounces what he calls Britain's new foreign policy. He also annuls the German-Polish nonaggression Pact and denounces the British-Polish Pact. "...and I would appreciate it very much if you, Mr. Roosevelt, as one of the successors of the late President Wilson, would use your efforts to seeing that promises, on the basis of which Germany once laid down her arms and placed herself in the hands of the so-called victors, be at last redeemed. I am thinking less of the countless millions extorted from Germany as so-called reparations than of the return of the territories stolen from Germany. Germany lost approximately 3,000,000 square kilometers of territory in and outside Europe although the whole German colonial empire, in contrast to the colonies of other nations, was not acquired by means of war but solely through treaties or purchase. President Wilson solemnly pledged his word that the German colonial claim like all others would receive the same just examination. Instead of this. however, the German possessions were given to nations who already have the largest colonial empires in history, while our people were subjected to great cares which are now-as they will continue to be in the future â€“ particularly pressing. It would be a noble act if President Franklin Roosevelt were to redeem the promises made by President Woodrow Wilson. This, above all, would be a practical contribution to the moral consolidation of the world and the improvement of its economic conditions. Mr. Roosevelt also stated in conclusion that the heads of all great governments are in this hour responsible for the fate of humanity and that they cannot fail to hear the prayers of their peoples to be protected from the foreseeable chaos of war. And I, too, would be held accountable for this. Mr. Roosevelt, I fully understand that the vastness of your nation and the immense wealth of your country allows you to feel responsible for the history of the whole world and for the fate of all peoples. My sphere, Mr. President, is considerably smaller and more modest..."
1942 WW2: It is decided that World War ll will be called World War ll, as a result of a Gallup Poll. 1943 WW2: April 28 - 30 An International commission visits Katyn and agrees that the victims had been shot three years earlier by the Soviets. 1944 WW2: Exercise Tiger ends with 750 US soldiers dead in a D-Day rehearsal after their convoy ships are attacked by German torpedo boats off Slapton Sands, on the southwest coast of England. "...In those early hours of 28 April off the south coast in Start Bay, Lyme Bay, a flotilla of eight LSTs (landing ship, tank) was ploughing toward Slapton Sands, transporting a follow-up force of engineers and chemical and quartermaster troops not scheduled for assault but to be unloaded in orderly fashion along with trucks, amphibious trucks, jeeps and heavy engineering equipment.Out of the darkness, nine swift German torpedo boats suddenly appeared. On routine patrol out of the French port of Cherbourg, the commanders had learned of heavy radio traffic in Lyme Bay. Ordered to investigate, they were amazed to see what they took to be a flotilla of eight destroyers. They hastened to attack. German torpedoes hit three of the LSTs. One lost its stern but eventually limped into port. Another burst into flames, the fire fed by gasoline in the vehicles aboard. A third keeled over and sank within six minutes. There was little time for launching lifeboats. Trapped below decks, hundreds of soldiers and sailors went down with the ships. Others leapt into the sea, but many soon drowned, weighted down by water-logged overcoats and in some cases pitched forward into the water because they were wearing life belts around their waists rather than under their armpits. Others succumbed to hypothermia in the cold water. When the waters of the English Channel at last ceased to wash bloated bodies ashore, the toll of the dead and missing stood at 198 sailors and 551 soldiers, a total of 749, the most costly training incident involving US forces during WW2..."
1945 WW2: On this Saturday night, the bodies of Benito Mussolini and his mistress Clara Petacci, are brought to Milan in a truck and dumped on the town square. The next day they will strung up by the heels from lampposts as Italian mobs celebrate by desecrating their corpses. Italian guerrillas had captured them while they were trying to escape to Switzerland and executed after a brief trial the previous day. 1945 Battle For Berlin: "...The bridge on the Potsdamerstrasse was seized on the 28th and in the face of fierce opposition from the SS 'Anhalt' Regiment, the attack began on the Tiergarten (Zoo). Maj Gen S. I. Perevertkin prepared his 79th Rifle Corps (comprising the 150th, 171st and 207th Rifle Divisions) to storm the Reichstag, but first the Soviets would have to overcome some serious obstacles. In front of the Reichstag lay KÃnigsplatz, across which there lay a water-filled antitank ditch and behind this numerous gun pits, artillery emplacements and trenches connected to the Reichstag itself. Additional mortars and artillery pieces were sited in the Tiergarten and the whole area was mined. As with every other building in the area, the Reichstag itself had been heavily fortified with the lower storeys being reinforced with steel rails and concrete and the doors and windows bricked up to provide loopholes. It also had street-level cellar windows, which proved to be natural gun embrasures and the construction site for the abandoned U-Bahn (Underground) tunnel nearby was readily incorporated into the defence system. The area was defended by between 5 and 6,000 German troops of all kinds, including Army regulars, SS, Allgemeine-SS (defending the Ministry of the Interior), Volkssturm and 250 sailors from the 'Grossadmiral DÃnitz' Naval Battalion, reinforced with large numbers of stragglers and some tanks from the 11th 'Herman von Salza' Tank Battalion, the majority of whom were in the Reichstag itself..."
1945 WW2: Otto Hermann Fegelein, the brother-in-law of Eva Braun and also Himmler's liaison officer in the bunker, is arrested in civilian clothes while preparing to leave the country. He is brought back to Hitler's bunker and is temporarily saved only by Eva who pleads for mercy because her sister is pregnant. 1945 WW2: At 9 PM, a BBC report, heard in Hitler's bunker, announces that Himmler has just offered to surrender Germany unconditionally to the Allies. Hitler now believes Fegelein's attempt to escape is part of Himmler's treachery and within an hour Fegelein is tried and sentenced to death. His body has never been found and the circumstances of his death are still uncertain. 1945 WW2: Just before midnight, Adolf Hitler and Eva Braun are married after a brief ceremony that is officiated by a minor official named Wagner. Only eight guests are allowed to attend: Bormann, the Goebbels and his wife, Gerda Christian, Chief Adjutant Bergdorf, General Krebs, Arthur Axmann, head of the Hitler Youth, and Fraulein Manzialy, the cook. 1947 Explorer Thor Heyerdahl sets sail from the Peruvian coast in the 45-foot Kon Tiki. The 4,300-mile voyage will conclude 101 days later and Heyerdahl will write a popular book about the ordeal called Kon Tiki. The purpose of the trip is to try to prove that ancient civilizations could have sailed from Peru to Polynesia. 1952 Dwight D. Eisenhower is relieved, at his own request, of the post of Supreme Allied Commander Europe and replaced by General Matthew Ridgway. 1953 Japan is allowed self-government by the US for the first time since 1945. 1958 Vice President Richard Nixon and his wife, Pat, begin a goodwill tour of Latin America that will be marred by hostile mobs in Lima, Peru, and Caracas, Venezuela, where a physical attack by a mob will raise Nixon's public approval rating among Americans to the point where many consider him the front-runner for the next Republican presidential nomination. 1969 President De Gaulle of France resigns after the voters reject major government reforms in a referendum. 1975 The Nam: The last American civilians are evacuated from South Vietnam as North Vietnamese forces tighten their noose around Saigon. 1977 Andreas Baader and other members of the Baader-Meinhoff terrorist group are jailed for life after a trial lasting nearly two years in Stuttgart, Germany. 1980 President Jimmy Carter accepts the resignation of Secretary of State Cyrus Vance, who had opposed the failed rescue mission to free American hostages in Iran. 1986 Chernobyl: The Soviet Union announces that the Chernobyl nuclear reactor fire had killed two people, with 197 hospitalized. Nine months later, it will be reported 31 had died and 231 suffered radiation sickness. 1989 Iran protests against the exhibition and sale of the novel The Satanic Verses by Salman Rushdie at the Geneva international book fair. 1989 Roy Medvedev, a Soviet historian persecuted for exposing Josef Stalin's crimes in his study Let History Judge, is readmitted to the Communist Party after 20 years. 1992 The Afghan government formally cedes power to triumphant Islamic guerrillas in Kabul three days after mujahideen forces entered the capital, ending 14 years of armed resistance and civil war. 1992 The body of Grand Duke Vladimir Kirillovich Romanov, heir to the vacant Russian throne, is returned to St. Petersburg to be buried in the city of his czar ancestors. 1992 Italian President Francesco Cossiga formally resigns from office, plunging the country into its worst constitutional crisis since the end of WW2. Giovanni Spadolini becomes interim-president. 1993 US Attorney General Reno explains that she ordered the ill-fated end to Waco, Texas, standoff after being convinced David Koresh would never give up voluntarily, and that mass suicide was unlikely. 1994 The US Navy expels 24 midshipmen from the US Naval Academy in what is said to be the biggest cheating scandal in Annapolis history. 1994 Aldrich Ames, former CIA officer, and his wife, Rosario, plead guilty to spying for Moscow in one of the most damaging espionage cases in US history. He is sentenced to life in prison. 1996 President Clinton testifies via videotape as a defense witness in the Whitewater trial. 1997 Separatists holed up inside their 'embassy' near Fort Davis, Texas, release their two hostages. 1999 In a sharp repudiation of President Bill Clinton's foreign policies, the House rejects, on a tie vote, a measure expressing support for NATO's five-week-old air campaign against Yugoslavia. 2000 17 US states join with the federal government in asking a federal judge in the Microsoft antitrust case to break the company into two parts. 2001 California businessman Dennis Tito becomes the first tourist in space. He reportedly pays Russia's cash-strapped space agency as much as $20 million to give him a ride to the International Space Station.